It can be hard to keep moving and enjoy life when you deal with joint issues. During the winter months, this can get even more difficult with weather changes and the cold days taking a toll on your joints. It doesn’t matter if you have issues with your hands, knees, ankles, or any other joint in your body, there is plenty you can do to help yourself out when it gets cold outside in order to reduce and ease any joint problems. In fact, you’ve probably already figured out a few tips and tricks for yourself. But here at The Harmony Company, we want you to feel your best and live life to its fullest, so if you haven’t tried some of the following tips to help keep your joints flexing, try them today, and you’ll be glad you did. You’ve probably heard your doctor tell you multiple times to get out and get some exercise. While this may seem like a monumental task when you’re in pain, the benefits are worth it. When you exercise, a few different things happen in your body. The first is that your brain will produce endorphins that help reduce the unpleasant feelings in your body. Discomfort also tends to cause mood swings. These endorphins also help to relieve some of those feelings, pulling you out of a terrible discomfort and mood swing cycle. The other miraculous thing your body does when you exercise is create natural lubrication for your joints, especially your ankles, knees, and hips. Even walking regularly can improve reduce your irritation levels and improve your joint health. Sometimes exercise and other methods to reduce discomfort and improve joint flexibility aren’t enough. Providing your body with the necessary nutrients it needs in order to protect the cartilage in your joints and improve the fluidity in them may involve more than just eating right. FLEXSolve 24/7, manufactured by American BioSciences, all an all-natural option to help you maintain healthy joints from inside out. 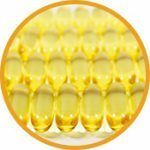 If you have stiff joints, a diet rich in omega 3s, or through supplementation, can also help to improve joint lubrication and reduce discomfort. Often times, when you have chronic joint discomfort, you forget some of the more traditional methods to treat often acute injuries. An ice or heat regime can be exceptionally beneficial for individuals with joint discomfort. If you suffer from inflammation, ice is the way to go. 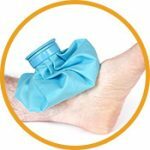 Cooling the joints will help to reduce any swelling caused by increased circulation to the injured area. However, if you get stiff and suffer from other joint ailments that don’t typically include swelling, heat may be the way to go. Whether you opt for a hot bath or simply curl up with a heating pad, the warmth can help to loosen the muscles, tendons, and ligaments that surround a joint, reducing pressure or stiffness. Unfortunately, part of having chronic joint discomfort is understanding how it affects you and what you can and cannot do. Understanding your limits is one way to avoid having a large flare-up of discomfort that becomes uncontrollable. That doesn’t mean you can’t constantly work on raising those limits in order to better yourself and increase the threshold at which pain starts or gets worse for you. Knowing your limits and being able to do just a tiny bit more every time you hit that limit is one way to work on reducing your problems. If you’re having trouble with figuring out your limits, your limits are too low, or you struggle to get any exercise, seeing a physical therapist can be one way in which to reduce your pain and figure out how to cope with pain that won’t be going away completely. A physical therapist is able to work with and help strengthen any muscles that will provide relief to your joints. Often by strengthening muscles surrounding your painful joints, you can take any extra pressure off of them, providing at least some relief. If physical therapy isn’t your cup of tea, there are some other alternative treatments that just might be able to help reduce your joint pain. Opting to utilize professional massage or acupuncture are great options to include in your plan to reduce or eliminate your joint pain. Massage has the ability to loosen tight muscles and relieve inflammation. 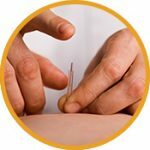 Acupuncture is great if you’re experiencing any type of nerve pain associated with your joints. Addressing chronic joint discomfort doesn’t have a one-size-fits-all solution for everyone. Figuring out what treatments or combination of treatments works for you is important in order for you to live your life to the fullest.